More details have been revealed about the Maryland Mall shooting in suburban Baltimore Saturday, which left three people dead and five injured. According to officials, a lone gunman walked into Zumiez, a skate shop, at around 11 a.m., and used a shotgun to kill two employees, after which he turned the gun on himself. By the time the police arrived, within two minutes of the 911 call, the shooter was dead. Police identified the two victims in the mall shooting as 21-year-old Brianna Benlolo and 25-year-old Tyler Johnson, and the gunman as 19-year-old Darion Marcus Aguilar. Although Benlolo and Aguilar both lived in the same town, police are still trying to figure out the gunman's motive and his relationship to his two victims. It looks like Aguilar had big plans: on searching his bag, the police found clumsy attempts at making explosives (which they were able to disarm), and he also had a “large amount of ammunition” on his person. According to the Howard County General Hospital's Twitter page, five others were wounded in the shooting, but they have all since been treated and released. “This shouldn’t happen in our community, this shouldn’t happen in any community,” Howard County Police Chief Bill McMahon said at a press conference late Saturday afternoon. The shooting has prompted some experts to call for changes in how security is handled in public places like shopping centers. 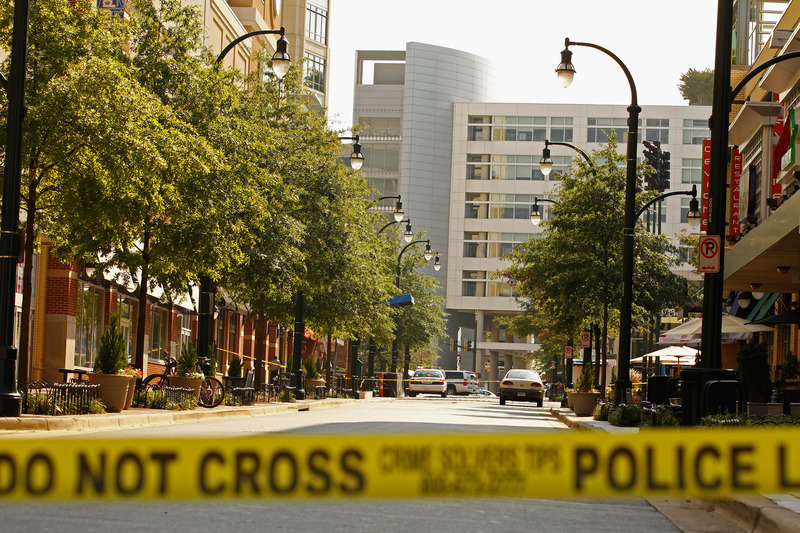 The shooting occurred only a day after a 20-year-old student was killed by gunfire at South Carolina State University. Earlier this week, a shooting at Purdue University left one man dead, while yet another student was critically injured after a shooting at Widener University near Philadelphia.